Unlikely jazz fare like the cowboy lament “Dreary Black Hills” and “America the Beautiful” mingles with Antonioli’s extraordinary collaborations with Austrian pianist/composer Fritz Pauer, best known to American jazz fans as the longtime accompanist of trumpet legend Art Farmer. 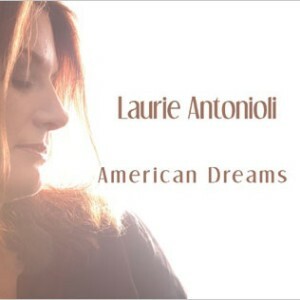 This CD is autographed by Laurie Antonioli, and price is inclusive of shipping. Dreams come in many forms. As artists, we represent dream worlds in our work. The line between the practical, so-called real world and the mindscapes of imagination blur and are always at play for us. While living overseas from 2002-2006, I would dream of being back in the States — there was a longing that can only be described as homesickness. And then, once home, with our country in a state of crisis, yet with so much hope on the horizon, the concept of the “American Dream” is at the front of my mind. This collection of songs is informed by American Jazz, Folk and Country music. Nine of the thirteen contain my lyrics and of those, five are composed by Austrian pianist Fritz Pauer. Fritz was my colleague and songwriting partner for the four years I taught at the Jazz Institute at KUG University in Graz, Austria. Two songs are American “traditional” pieces. The patriotic anthem “America the Beautiful” is something I’ve wanted to sing for a while, and Dave McNab’s arrangement is sublime. The cowboy song “Dreary Black Hills” is about the gold rush in North Dakota in the late 1800s; we do it as a medley with “Get Up and Go,” an original by our bassist, John Shifflett, the lyrics written by me during a long road trip. I saw tumbleweed blowing across the highway and imagined the story you’ll hear. The songs are about nature (“Oh, What a Beautiful Morning,” “Moonlight in Vermont,” “Sweet Sound of Spring,” “Samba Nada Brahma”), about longing for people and places in other cities (“Vienna Blues,” “How Long,” “Long Way from Home”). “Long Way from Home” was originally titled “Zal,” and is composed by dear friend and longtime musical partner Richie Beirach. The songs are about the labyrinth of potential love in “Under Consideration” by our drummer, Jason Lewis, and “Just a Dream” is a mysterious song about deep connections that want to be realized. The bass clarinet and exotic vocal electronics add to the mystery. And then, there’s a quirky statement about luck and finance that seemed fitting considering the current economic crisis. “Stimulus Plan” is in the style of Ornette Coleman, written by Paul Nagel. There are some story lines you can follow, but in the end it’s the cohesive communication between the musicians that truly stands out. Thank you Matt, John, Jason, Dave, and Sheldon. You continue to be my favorite musicians. The recording session was a delight. To top it off, the artistry of mixing engineer Jay Newland provided a sonic environment I could only dream of. So many dreams have come true, and doing this recording is certainly one of them. Sharing it with you is yet another. 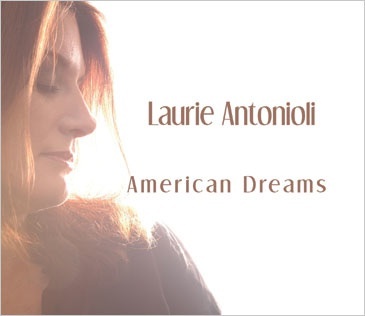 Be the first to review “American Dreams” Click here to cancel reply.